Can the Empress of Blandings win the Fat Pigs class at the Shropshire Show for the third year running? Galahad Threepwood, Beach the butler, and others have put their shirt on this, and for Lord Emsworth it will be paradise on earth. But a substantial obstacle lurks in the way: Queen of Matchingham, the new sow of Sir Gregory Parsloe. Galahad knows this pretender to the crown must be pignapped. But can the Empress in turn avoid a similar fate? 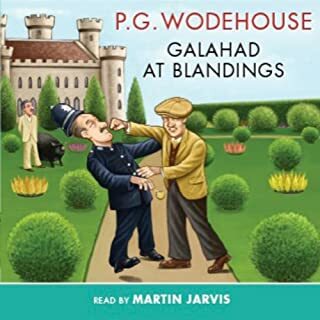 In this classic Blandings novel, pigs rise above their bulk to vanish and reappear in the most unlikely places, while young lovers are crossed and re-crossed in every room in Blandings Castle. 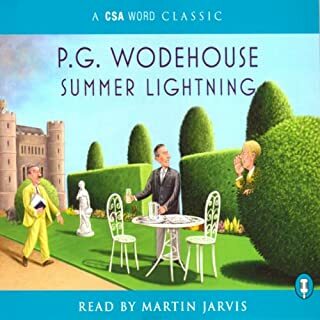 It's the usual romp at Blandings Castle, and by "usual" I mean unusual--a small universe that runs on it's own slightly off-balance dynamics. There's the continuing struggle for porcine supremacy between the ninth earl and his neighbor, Sir Gregory Parsloe-Parsloe, Bart. Sir Gregory's struggle to lose a few pounds, and thus allay his future wife's fears that she will be accused of bigamy before she leaves the sacred edifice. There's Jerry Vale, a writer of detective fiction and temporary secretary to Lord Emsworth who wants enough cash to open a health establishment. And there's his betrothed, Penny Donadlson, who's also betrothed to Orlo, Lord Vosper. 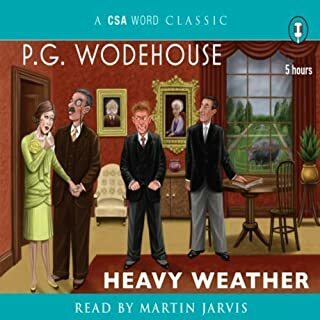 Add a former barmaid who now runs a detective agency and who once almost married "Tubby" Parsloe, a pig man who has been denied the beer that is so much a part of his daily routine and might do anything to get a pint, and a third pig--which is to say another pig altogether, neither Lord Emsworth's Empress of Blandings nor Sir Gregory's Pride of Matchingham--and you have enough to be getting by with. But most importantly, there are six large, economy-size bottles of Slimmo. Jeremy Sinden does it all more than justice. In fact, he is superb--as good as his stellar performance on Full Moon. From the quality of his voice to the way he inflects it for comic effect or bends it to portray a lord, a pig man or a young daughter of an American manufacturer of dog biscuits, he is flawless. It's a book and a performance you will be able to enjoy again and again. This is a sequel to Blue Moon and like that wonderful work, it is delicious. Jeremy Sinden's performance actually enhances both books. I don't think he should be allowed to do anything else but read brilliant, idiotic comic literature aloud. I will spend my credits on anything he reads. 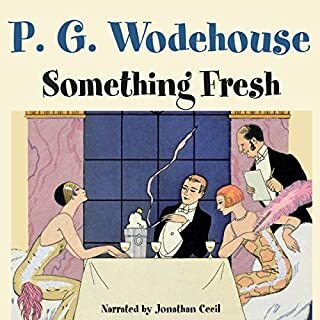 Here is delightful Wodehouse story. 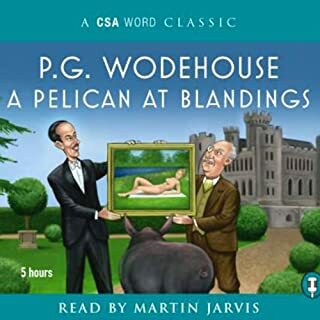 All the Blandings stories are fun, and this is one of the middle ones (Better to start with Something Fresh or Leave it to PSmith) but wow, knowing the characters and the lay of the land round Blandings, this story is such fun! And Jeremy Sinden is (sadly, was) my favorite narrator for these stories. 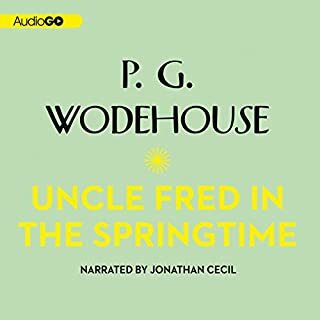 A fun, fast listen following the Wodehouse method. A recommended road trip or beach listen. OK, but doesn't seem to really go anywhere. Maybe. Only if they really love the more rambling style of British literature. I liked the initial character introduction, but then the story seemed to go nowhere. Would you listen to another book narrated by Jeremy Sinden? Jeremy Sinden is easy to understand, and he brought out the characters' personalities in his reading. 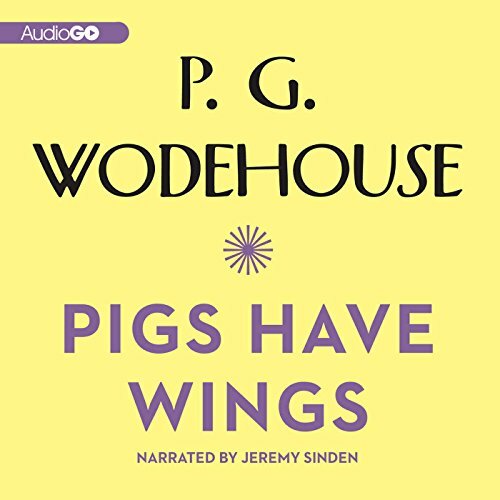 Could you see Pigs Have Wings being made into a movie or a TV series? Who should the stars be? I think it would make a great series. The characters are perfect for that.